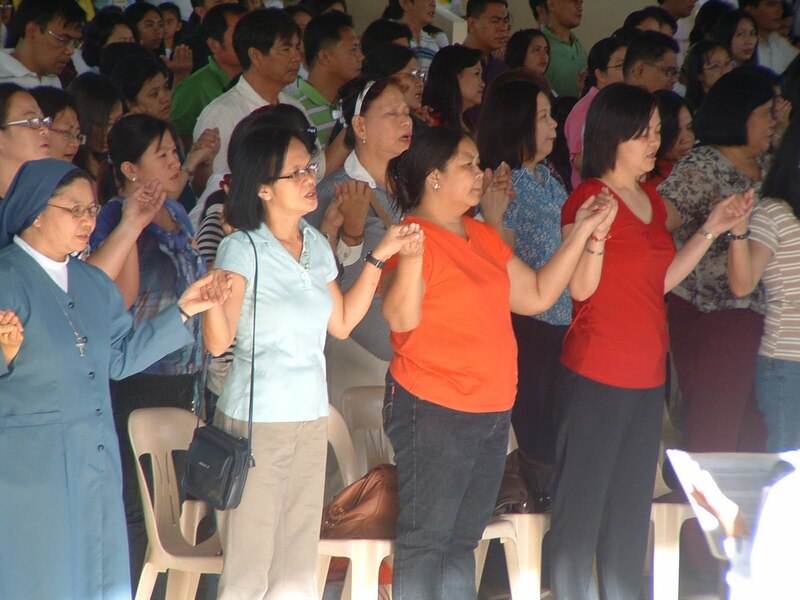 Francis: Not disposed to receive at Mass? Just stay home. Last week, the on-going Bergoglian “catechesis” on the Novus Ordo was largely unremarkable; so much so that I saved commentary on it until today. This is not one of many Christian prayers, but it is the prayer of the children of God: it is the great prayer that Jesus taught us. In fact, delivered to us on the day of our Baptism, the “Our Father” makes those same feelings resonate in us. They were in Christ Jesus. Yes, that’s it! You see, Jesus had sentimental feelings as befitting a child of God, and by golly, we should too! The fundamental error here is obvious: Baptism does not engender “feelings” of Divine sonship; in addition to making that sonship real, it imparts the theological virtues of faith, hope and charity. Francis went on to demonstrate how little stock he puts in the first of these virtues. How many times there are people who say “Our Father”, but do not know what they say. Because yes, it is the Father, but do you feel that when you say “Father”? Forget believing that we are children of God, we must “feel” it. When we pray the “Our Father”, we connect with the Father who loves us, but it is the Spirit who gives us this connection, this feeling of being children of God. Get that? The Holy Ghost leads us not into all truth, but into all emotion. So much for last week’s Bergoglian assault on the Catholic faith. The celebration of the Mass, of which we are going through the various moments, is ordered toward communion, that is, to unite with Jesus. The sacramental communion: not spiritual communion, which you can do at your house saying: “Jesus, I would like to receive you spiritually.” No, sacramental communion, with the Body and Blood of Christ. If nothing else, he is consistent. Sure enough, today he returned to this false notion with even greater emphasis; suggesting that assistance at Holy Mass apart from receiving Holy Communion is no better than simply staying home. This mindset forms an integral part of Amoris Laetitia and the Bergoglian attack against the Church’s bi-millennial practice concerning those in invalid civil marriages. By contrast, Francis is encouraging those who are not properly disposed to receive Holy Communion to just sleep in. This, I suppose, is what passes for “accompaniment” in the brave new world of newchurch. In fact, the gesture of Jesus who gave his disciples his Body and Blood in the Last Supper, continues today through the ministry of the priest and deacon, ordinary ministers of distribution to the brothers of the Bread of life and the Cup of salvation. With regard to the latter, it must be said that it is not “the Church” that desires as much, but rather was it the desire of the architects of the protestantized Novus Ordo rite. In the insistent recommendation to distribute in Communion the Species consecrated during the same Mass, indeed to consecrate a loaf for the priest to distribute to at least some of the faithful, we find reasserted a disparaging attitude toward the tabernacle, as toward every form of Eucharistic piety outside of the Mass. This constitutes yet another violent blow to faith in the Real Presence as long as the consecrated Species remain. 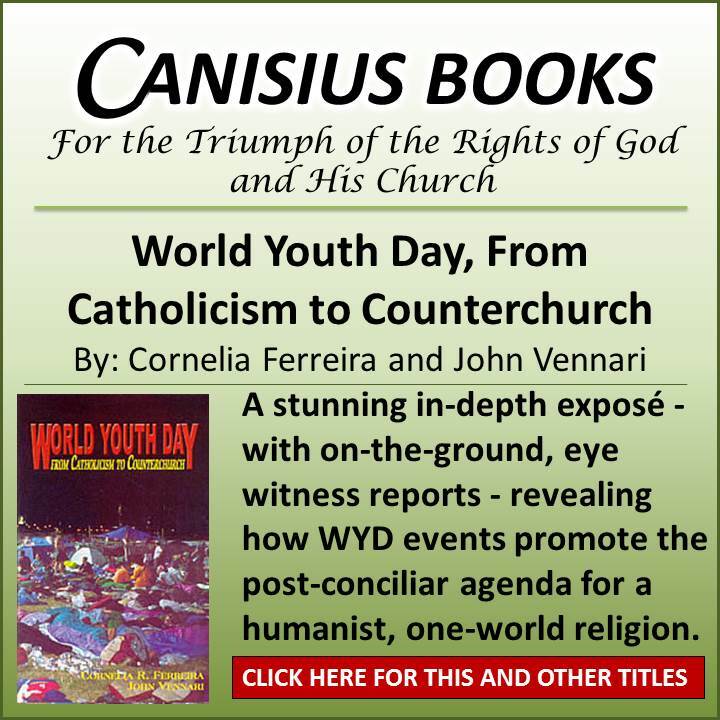 With staggering numbers of self-identified, Mass-going, Catholics expressing doubt as to the Real Presence, no well-informed person of good will can deny that Cardinal Ottaviani et al. were entirely correct. 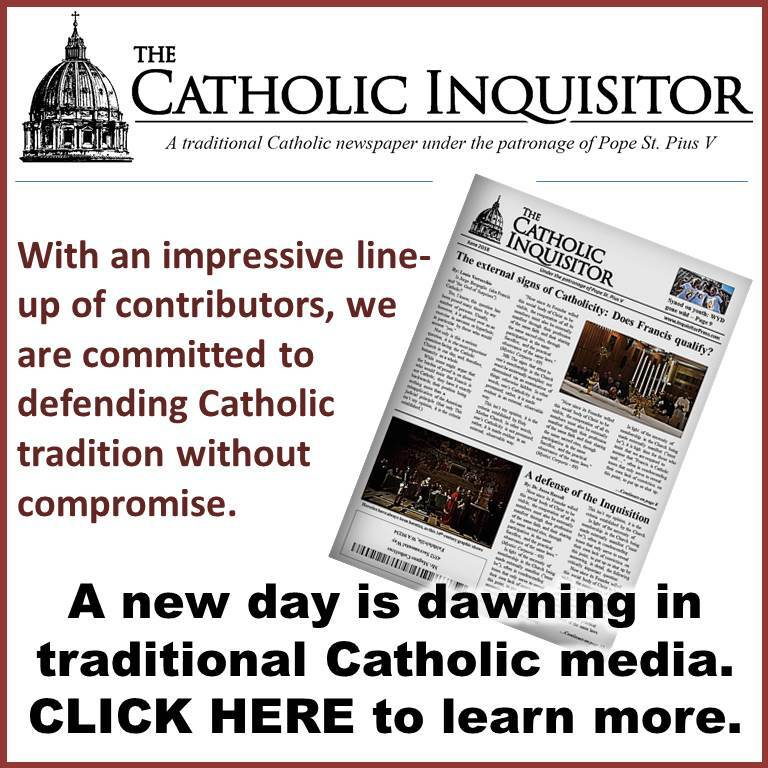 Indeed, this is the solitary benefit of these General Audiences; namely, to demonstrate beyond any doubt whatsoever that participation in the Novus Ordo Missae poses a grave danger to one’s faith; with Jorge Bergoglio, he who refuses to bend his knee before Christ in the Most Holy Eucharist, being a prime example. So much for the First Commandment, and the Precepts of the Church. But, hey, good ole “Berg” boy is not changing doctrine or dogma. So, so, SO WHAT?! (Sarcasm off). Why was the second “confiteor” removed from the 1962 missal if not to de-emphasize the communion of the people as a separate rite. Pope Francis is, at best, a Lutheran, at worst, an agnostic. Modernism is not Catholicism since the Scriptures tell us to follow what the Tradition of our Fathers have taught us. Okay , so thank you Jorge Borgoglio , for reaffirming what what we have thought all along. I confess I have not read all the comment arguments after the previous post about consecrating Bishops BUT Mrs Engel taught me to look at the Co Consecrating Bishops and their histories Once you do this, you find that almost every known homosexual was consecrated by at least one other known homosexual or effete Bishop . There is a definite pattern of lineage. They promote their own. Just because he celebrates the TLM, doesn’t mean he’s immune to this disgrace. “It never ends!” That’s what many of us have been saying 2Cents ! OR “Will it ever end?”. I personally know of two pastors said Fr Z has praised from afar as “Traditional”. He couldn’t have been any farther from the truth ! In Fact, one of them literally tortured a long time friend of mine who worked in his rectory. He mocked the parishioners while playing his role as a Traditional priest in public and an over the top active sodomite with a boyfriend in the rectory. I was told he hired several lesbians to report to him if any of the other employees showed anything less than admiration for his antics. So all that glitters as traditional is not always gold ,despite the fact he paid almost thirty thousand for traditional vestments hand sewn with real gold thread in France by an Order of nuns. Thank you for posting the link . I passed it on. All very sad but unfortunately a sign of the times. 2 Cents……and so we pray for priests . That is all we can do. At a NO worship service there is no such thing as “not being properly disposed.” For several reasons. One being they don’t believe in sin anymore (except sin of being traditional and not recycling) and second its only a piece of bread and a cup of bad wine to begin with. So Frankie is correct, if you do not intend to fully and actively participate in the banal festivities prepared for you by liturgical “experts”, then why even bother going. Your posture of remaining in the pews and not getting the cookie makes them uncomfortable and demonstrates a disunity that they have worked very hard to erase. EXACTLY …They do not want you UNLESS you buy into the nervous order hook line and sinker. 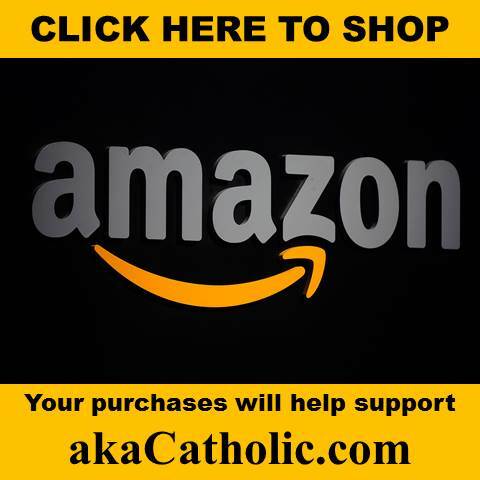 According to article on TradCatKnight, a couple was married in SSPX Church in March 2018 by N.O. priest. The SSPX priest was then “allowed” to offer the TLM. For some strange reason, the link would not be pasted on this comment. Louie’s articles are very insightful regarding the demise of the Catholic Church under Bergoglio et. al. That is why the SSPX is so crucial. Have they caved in? This wedding proves the cowardice of the SSPX leadership and betrayal to so many who put their hope and trust in the Priestly Society whose mission was to “restore all things in Christ”. Have you read the article, “Chess in Three Moves” by Francesco Lamendola, Dec.25,2017? It was referenced in Eleison #557, March 17,2018 by Bishop Williamson. The English translation may not be correct but Lamendola states that on Jan 17, 2017 Bishop Fellay SIGNED THE AGREEMENT with ” ‘pope Bergoglio’…definitively accept to recognize as fully legitimate and operative the Second Vatican Council, in all its deliberations, therefore also for what concerns the ‘Nostra Aetate’ .” This meeting was at Santa Marta with Bishop de Galarreta also there. Do you know anyone who can confirm or deny this claim? If the agreement was signed did I miss the memo somewhere? At its basic core, the SSPX exists for one simple task. Preserve the Roman Catholic priesthood. For those who put their hopes in Abp Lefebrve, I can only say, you should have listened to what he said. He never set out to combat the modernists. His goal from the beginning was always to find a solution to the canonical abnormalties and integrate the “traditional” Catholic faith into the modernist hierarchy. He would have been perfectly happy with a personal prelature and a degree of autonomy. To his credit he would not offer the pinch of incense to the NO and V2 demanded by the Ratzingers, Muellers, and other false conservatives. If he consecrated Williamson a Bishop , LeFebvre had a huge blind spot. Williamson had no problem with Hitler ,the Nazis OR homosexuals in the priesthood. I saw that first hand. Yes, Tom A, to preserve the Roman Catholic priesthood and the Faith. But if Bishop Fellay has signed this agreement accepting Vatican II and ALL that goes with it, there will be no more consecrations of Roman Catholic bishops by the bishops of SSPX! Instead, they will become just like FSSP and rely only on Novus Ordo bishops consecrated to the Novus Ordo rite, not to the Roman Catholic rite. Voila! Positive doubt–and according to moral theology, we are to avoid doubtful sacraments if we strive to be Roman Catholic. 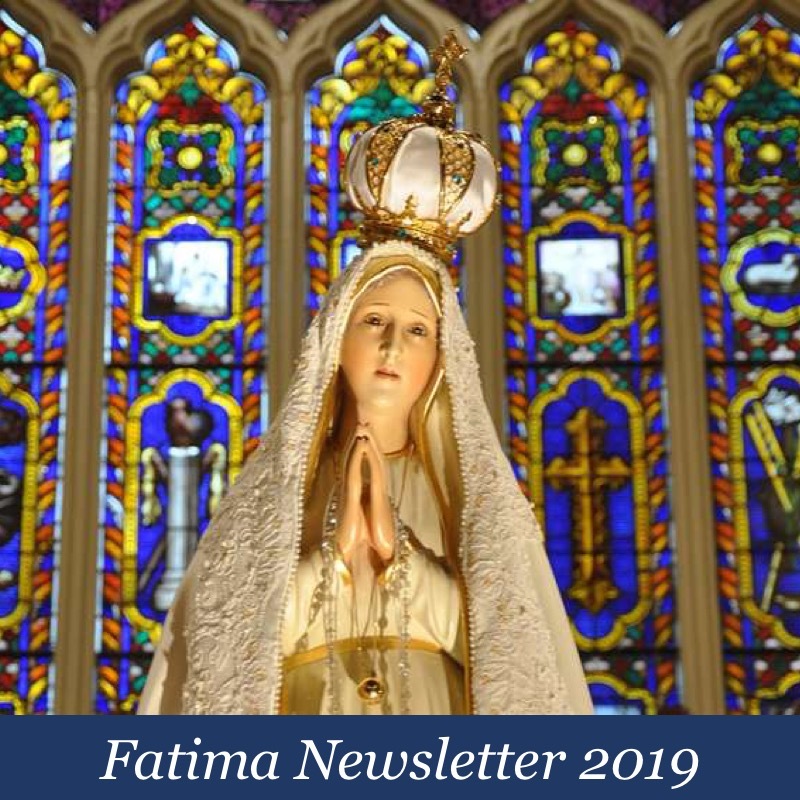 The July 2018 election for Superior General will be a defining moment in the SSPX. It is rumored that many priests and faithful will exit of Fellay is re-elected although he says the choice will come from one of the priests not the bishops. I don’t know with absolutely certainty that this is accurate. I also heard that the Vatican must approve of the result of the elections. Time will tell. Personally, I feel that an unannounced “under the table” agreement has already been made. All I know for sure is that the SSPX I was enthusiastically involved with for more than 20 years no longer exists. The future history of the True Catholic Church will pay the price. Heaven help us. From what I have read, the SSPX NEVER submitted the name of the newly elected Superior General to the Vatican for approval. If that does happen, the SSPX, all its priests, faithful, and Property will fall under the papal authority and control automatically. That would be a weasel/weanie way to do the unthinkable without personal responsibility of signing an official agreement accepting 100% of Vatican II, etc. I wish we could have known SSPX when Archbishop Lefebvre was alive. Precisely. I have seen in both spheres of the Church (NO and traditional Mass) the notion that if one does not receive Communion, they have not participated in the Mass fully. As Louie himself explains that’s a silly notion to hold on to. Graces are had regardless if one recieves Him in the Mass. Holding on to a mindset of perpetually receiving Communion leads to a sense of routine that subtly limits one’s ability to perceive Communion as a special occasion. Which it is. This is why the Church has mandated one only has to receive Him once during Paschaltide. If one small sin is infinite in the infinite goodness of God, how does He view our sins committed on a daily basis?